Summer's gone, here comes the bus! The first lessons of the school year are often heavily loaded with class rules and procedures. I know our students need structure, but a full class of rules is boring and this is MUSIC class! My preference is to be sure there is some active music making right from lesson #1. 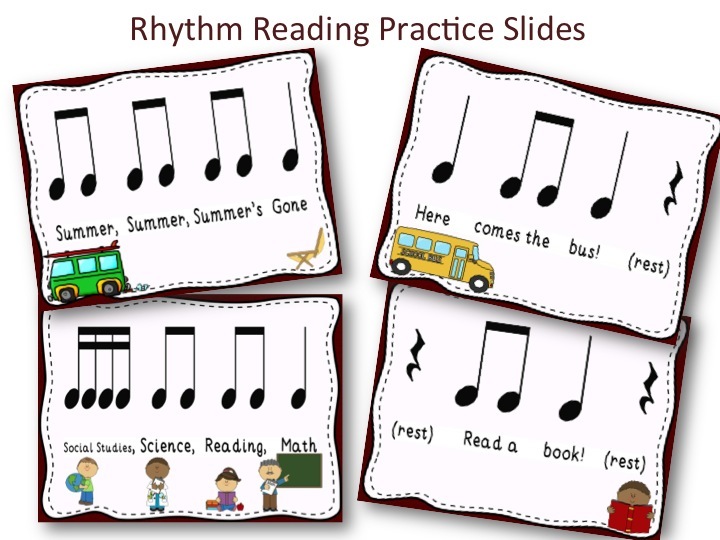 Reading and chanting rhythm patterns is a part of each music lesson, so I include the Back-To-School theme to rhythm reading during my first few lessons. 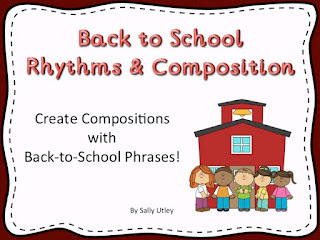 By collecting a group of common back to school sayings and "translating" them into rhythmic notation that my students are familiar with, I can get my students reading & reviewing familiar rhythm patterns right from the start. I like to project these patterns on the SmartBoard for easy group viewing and chanting. Younger students will echo my own chanting of the pattern, older students will read the pattern for themselves. 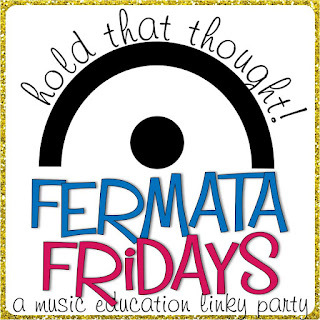 Then chant the pattern with neutral syllables or the rhythm syllables of your choice. This second step helps children to realize that words can create rhythms. Teacher: Summer, summer, summer's gone. Students Summer, summer, summer's gone. 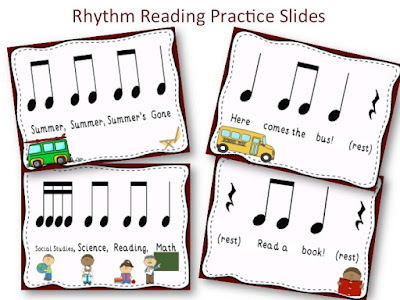 There are several ways to turn this simple reading practice into a composition activity. This first example will focus on arranging the teacher ideas. Print the sayings on cards, laminate for durability, then display at the front of your classroom on the chalk tray or music stands. 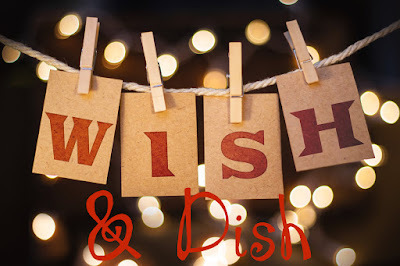 Ask students to arrange the cards in the way they sound the best. Each class may have a different arrangement. This gives the students some creative control, allows for discussion of the difference between a composer and an arranger, both music careers. Chant the phrases, then chant with rhythm syllables. Finish by playing the arrangement on rhythm instruments. 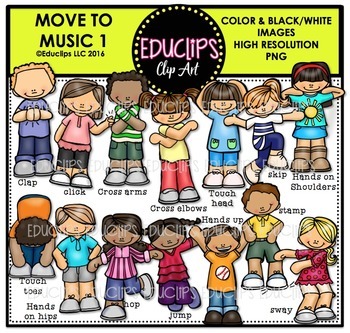 Choose four back to school phrases and work as a class to create a rondo form. Of course the class will have to decide which pattern will be the "A" section that repeats. 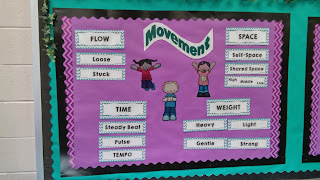 Perhaps the class could create movement for this phrase together, then small groups of students could be assigned one of the remaining patterns to create movement. Put all of this together for a class performance. This can all be accomplished during one music class and demonstrated for the classroom teacher at the end. 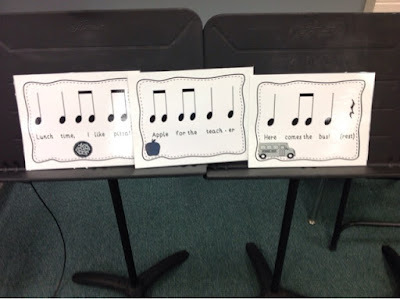 Extend this idea by adding rhythm instruments. 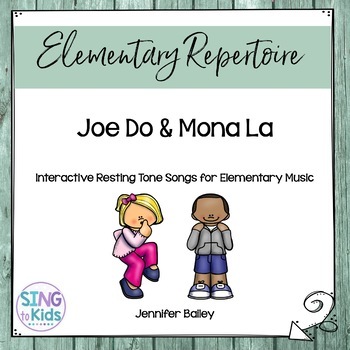 If you have access to Orff instruments, tone bells, or other melody instruments, combine them with the back to school phrases and procedures for small group work to create a melodic composition. I am blessed to have a large number of Orff xylophones, so that is my instrument of choice. Divide the class into groups of four students. Give each group one phrase worksheet and one melodic instrument. I chose C pentatonic when setting up my Orff instruments. 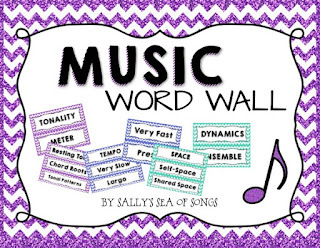 Students should work together to create a melody for their phrase and record it in the grid. 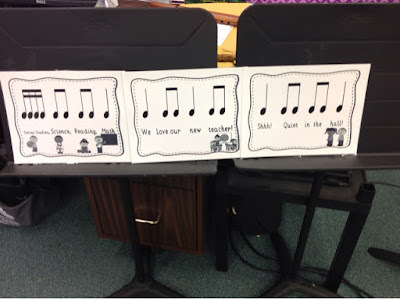 Because I wanted students to be able to sing the melodies, I asked students to experiment playing and singing what they played to find a pattern that they liked, then write it down. 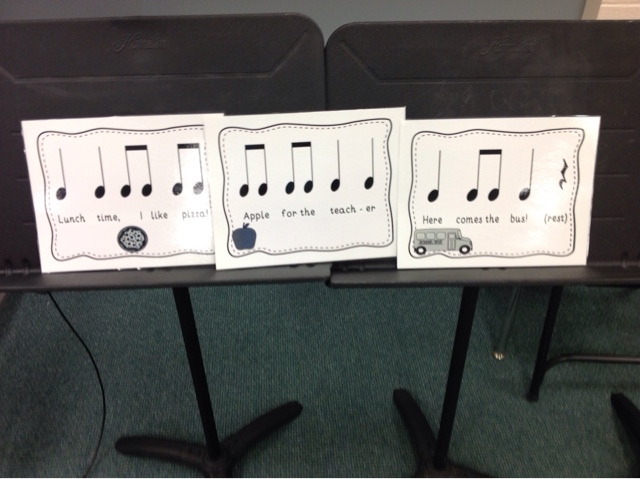 Use whatever symbols your students are ready for in their compositions. 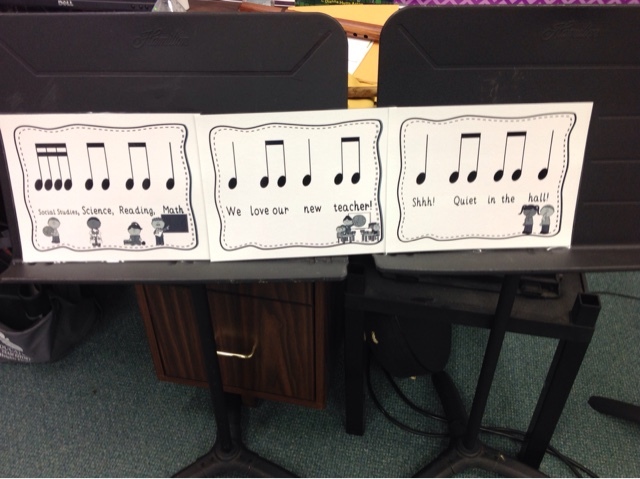 Because reading and writing melodic notation was not one of my objectives, I chose to ask students to record the letter names taken from the Orff instrument bars in each box. Giving each student in the group a job can facilitate smoother group interactions. 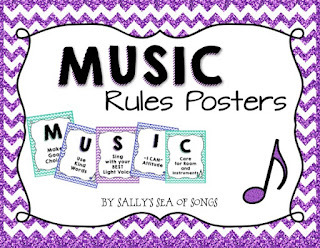 For example one student plays, one student sings what was played, one student notices the letter names of the melody and calls them out to the fourth student who writes them down. Switch jobs and write another version, etc. When the group has created four versions of the phrase, they should sing them again and decide which one they would like to select for their group performance. Of course, editing and combining versions would be allowed! 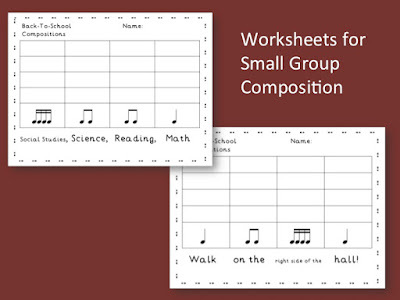 Create a group performance by sequencing the small groups. Additional hints on using a grid for music composition may be found here. That is the question. You do not need to purchase anything to do this activity! A sharpie and some card stock will get you through that first day quite nicely. I can say this from personal experience. An IWB file with the phrases pre-typed on a page could lead to a short lesson on decoding the rhythm patterns by listening. 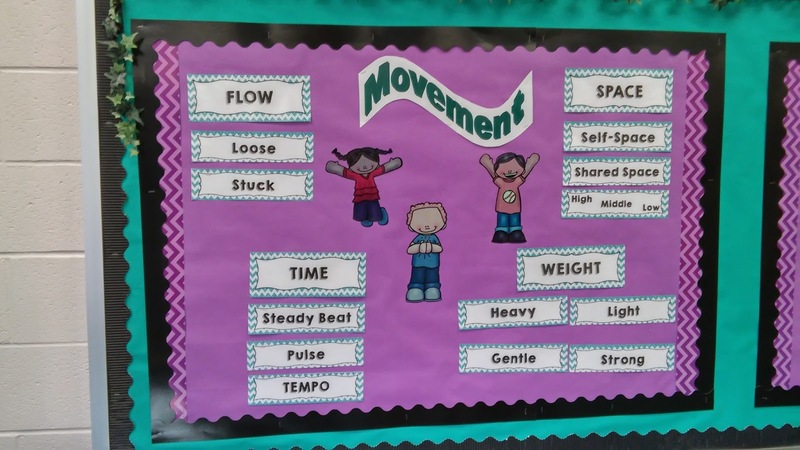 Write the rhythms by hand on your IWB, then on to any of the other choices listed above. 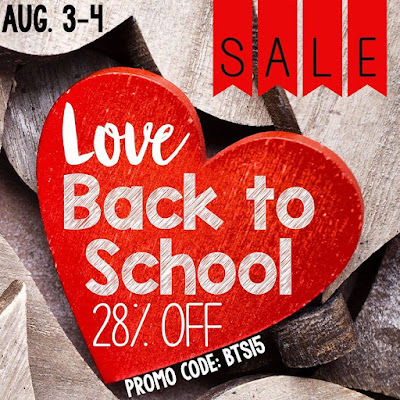 Here's to making back to school MUSICAL!